In EYFS/ KS1 children ‘self-register’ on entry to school, writing their name or making marks on their name card and posting them in the post box each morning. Children are encouraged to make marks at every opportunity and this is done through directed fine motor activities, such as ‘Dough Disco’ every morning, provision of writing tools and implements, and sensory messy play. Literacy is taught through a ‘book of the week’ system, whereby the children are introduced to a new fiction book based on our topic each week and lessons are planned around this, differentiated for each child. We aim to instil a love of stories and reading in all our children. In the Early Years Foundation Stage we focus primarily on communication and language, incorporating all our pupils’ different learning styles and needs such as PECS, symbols and visuals and Makaton to support vocabulary. Phonics is taught in EYFS/ KS1 through ‘Letters and Sounds’, with particular focus on Phase One activities, focusing on speaking and listening skills. Some children are beginning to blend and segment in preparation for reading, and this is taught through Jolly Phonics songs and rhymes, and Phase Two and beyond phonics activities every day. In the Primary department- KS2, English is taught in daily literacy lessons. It is also taught through topic work. The Jolly Phonics programme continues to be used to teach sounds throughout the Primary phase. Learning objectives are taken directly from the National Curriculum, and are carefully differentiated to ensure each child can succeed in their learning. Spelling, punctuation and grammar are taught explicitly in line with the National Curriculum. The texts students read are carefully selected to be of interest, and are often supported by watching clips of the story to aid understanding. Drama is also used to explore texts, and role-play is often used to help students develop understanding of key themes within texts. Favourite authors include Julia Donaldson, Roald Dahl and Michael Morpurgo. The Library service is used within school to provide a range of reading resources such as story sacks and multi-sensory boxes. Students also enjoy being read to by staff from the library service, as well as their teachers. Above all, learning is made fun and exciting for every student at every level of their learning. In Key Stage 3, 4 and 5, English is taught in discrete lessons. In Secondary (Years 7-11), students are taught English 3 times per week alongside a daily Literacy lesson which focuses on developing reading and writing skills. Dependent on the ability of the student, they are placed in Literacy groups that will develop their reading skills by using recognised intervention techniques, such as Better Reading Partners and WAVE3. Students in Key Stage 3 follow the National Curriculum and each scheme of work is highly differentiated to suit the needs of the students. Students are regularly assessed in Reading and Writing and most make good to outstanding progress. Speaking and listening skills are often taught through Drama and perfomance. I.C.T is used most English lessons, and we also enjoy filming the Drama that we do. Students study English in a thematic way, and we use engaging texts and films to enthuse students to create imaginative pieces of work. Speaking and Listening is an important part of English at Newman, as it empowers students to communicate with each other and inspire confidence. Students who use alternative ways of communicating are encouraged to use their machines within English lessons, and vocabulary is regularly updated on their machines to fit the current topic of work. In Secondary and Sixth Form, the Rising Stars ' Dockside' reading scheme is used to teach phonics and decoding skills. This is a popular scheme as it is age-appropriate and engages our older readers. Students follow a Programme of Study at Key Stage 3 which includes: Prose, Poetry, Shakespeare, Media, Non-Fiction, Speaking and Listening and Drama. 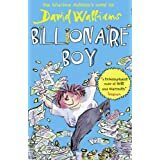 This year students have particularly enjoyed reading Billionaire Boy by David Walliams. In Key Stage 4 we enter students for either AQA English GCSE or AQA Step Up to English, which has replaced the old Entry Level Certificate. AQA Step Up to English is modular, with no final exam. AQA English has a final exam and no coursework. The focus is on reading and analysing unseen texts, and writing for a specific purpose and audience. In Post-16, there are a range of options available for students of all abilities. We currently offer OCR Functional Skills, which students can be entered for at Entry Level. For this exam, students learn functional English skills such as writing a letter, reading a T.V Guide, making a phone call etc. Students often continue studying for a GCSE in 6th form also. Additonally, we also offer AQA Level 1 & 2 Functional Skills. As well as class-based work, we take pride in offering our students a wide range of experiences away from the classroom. It is important to mix with other schools and visit places within Rotherham and the surrounding area. Initiatives we have been involved in are: The Woodles, where we make our own professional books and board games at Rawmarsh CLC; The Rotherham Book Awards, where there is an opportunity to meet authors of the books we have read and reviewed; The Roscars, Rotherham’s very own OSCARS, where Newman often steal the show; and World Book Day, where students can dress up as their favourite characters from novels they have read. This is to name but a few! Every summer, Newman School produce a Shakesperean play, which is always very well attended by parents and carers. Last summer's play was 'The Tempest' and was the best one yet! We take pride in all our work in class and endeavour to stretch and challenge our students with a wide range of activities in English lessons across the curriculum. Most importantly, we aim to make it fun and engaging for all students.